(Real Gone Music) 16 Tracks - 1970-1972 - The complete 16 masters from the vaults of ABC Dunhill, including 4 previously unissued tracks! 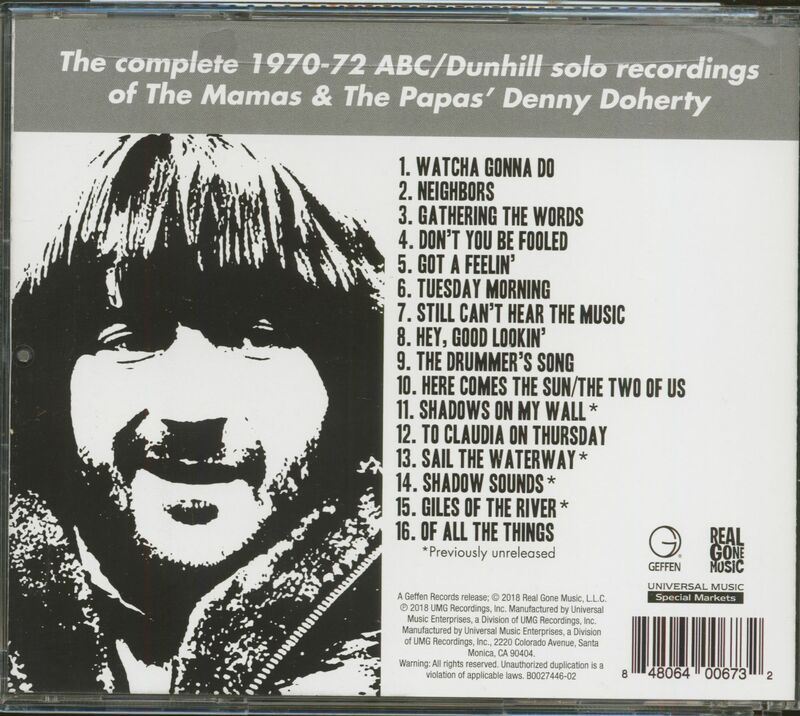 Denny Doherty is best known as one of the papas, member of The Mamas And The Papas! Customer evaluation for "Of All The Things - The Complete ABC-Dunhill Masters (CD)"
Denny Doherty had an achingly beautiful 3-octave voice, that could take you up to Heaven and back. He was a kind, sweet, man, who never wanted to do anything except sing, have fun, and help out anyone who came his way. He tackles ballads, country, beautiful soul searching songs ... and he does it all first class!! 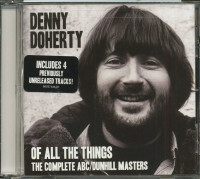 This album is an absolute MUST for any Denny fan. We can only hope they'll find more of his 'golden voiced treasures' in that old vault at Dunhill, so we can enjoy him forever. BUY THIS ALBUM, you won't be sorry!